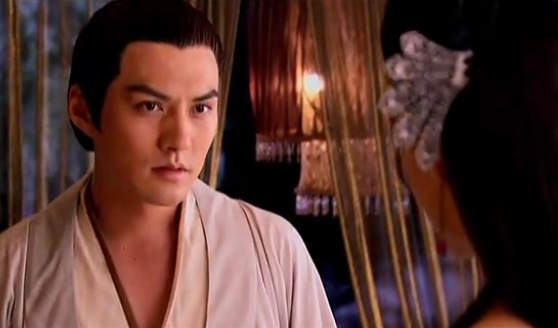 This is the reason why I fell of the wagon and descended into the hazy netherworld of Chinese drama. First of all I’ve watched Ruby Lin since Romance in the Rain, and my goodness, Samuel Chan is one of the hottest asian men I’ve seen in a long time. That aside, this is a historical drama and I do love me some of the gorgeous costume designs the drama manages to get in. Okay without further ado, let’s get on with the show. We open with the Han Dynasty, literally. It’s right after the First Emperor Han Gao Zu has pacified China and established the Han dynasty and we get a glimpse of the (young) Empress Lu Zhi. Her servant basically congratulates her husband’s faithfulness in bringing her to the recently conquered capital and says that Lu Zhi will be living a long life now. Lu Zhi counters and says that it’s not certain, because the tides of power is always changing. Her son, the crown prince, might not be on the throne for long. Here they ran into a little boy and his nursemaid. 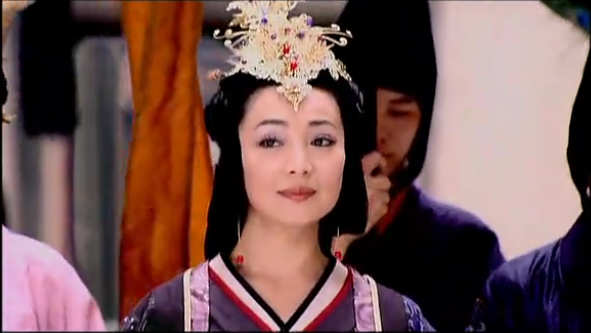 The empress notes that little boy is the son of Bo Ji, a concubine of the emperor and one of her potential rivals. She decides that he is getting older, which means that she must get rid of him to help her own son. As they are leaving, the little boy asks for the nursemaid for breast milk, she reluctantly acquiesces and the empress scoffs at the boy for being too coddled. Later She calls the nursemaid to her palace because the nursemaid is from the Empress’s hometown. Lu Zhi reminisces about the province and asks for the nursemaid’s story. The nursemaid says she used to be married to a good man and had borne him a daughter but when she was pregnant with her second child, the man died. The relatives, in order to get inheritance, spread the rumor that the child in her stomach was unlucky and forced her to get an abortion. 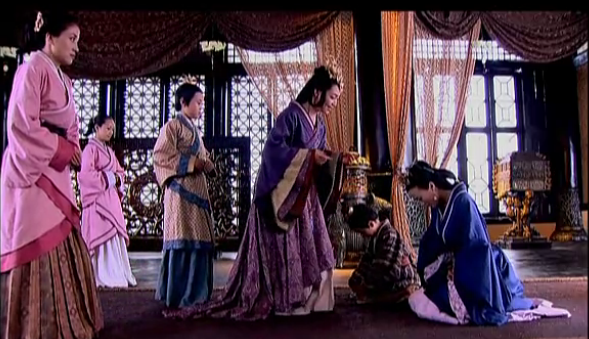 The nursemaid tells the Empress that it was concubine Bo Ji who saved her and her seven year old daughter. Then the empress gives the nursemaid a gift to make her skin smoother. Skip to Concubine Bo Ji’s place where Concubine Bo and the nursemaid discover that the box of lotion given to the nursemaid was actually full of poison. Concubine Bo Ji surmises that if the nursemaid put the lotion on and if anyone ate the lotion, then that person will die. Since the young prince drinks milk from the nursemaid, the intended target was the prince. Both women look in horror. The assassins demands the nursemaid and the daughters’ whereabouts, but since she and her daughter are in a tree, they can’t find them and leaves. The kind man takes the mother daughter to his house where his family gives them food and shelter. 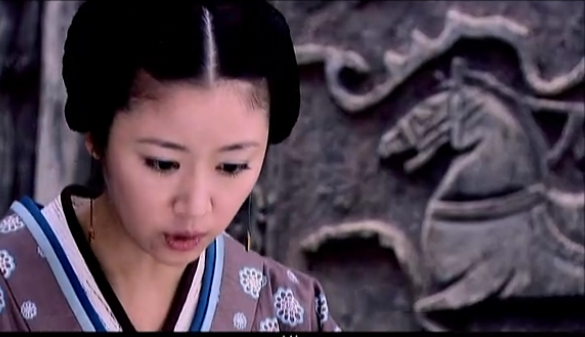 We are introduced to the nursemaid’s daughter, Dou Yun Xi and the other girl Ne Shen Er. But the assassins find them and kills the man and his wife. The only people who survive are the two little girls. They decide to leave and try to find Yun Xi’s uncle, on the way, they tell each other that they were going to be the best of friends and stay together forever. Back at the palace Concubine Bo Ji goes and sees the empress. She asks for the empress to let her and her son go to the Kingdom of Dai, where her son can become the Duke of Dai. This move would take her and her son out of the palace, and out of the clutches of the empress. 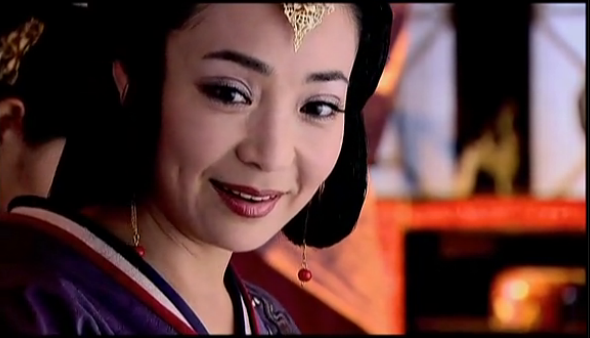 The empress smiles and says that even if she wants to let Bo Ji go, the emperor will not. Bo Ji takes a pin out of her hair and ruins her face. The empress smiles and allows the mother and son to leave. Meanwhile the two little orphaned girls go on their way to find the Nursemaid’s brother who takes the two little girls to his home. Problem is that they can not afford to keep both girls, and the wife makes him throw Ne Shen Er out and keep his niece Dou Yun Xi, to help her out with the housework. The uncle has no choice but to do so and Ne Shen Er is picked up by prostitutes who take her back to their place. The uncle explains the crying Yun Xi that they could not keep them both. 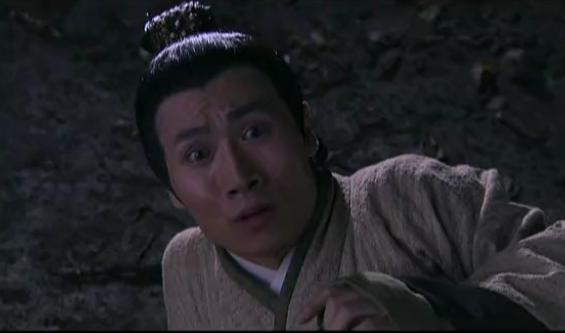 Yun Xi begs them to bring Shen Er back but the uncle explains that they can’t do it. The wife comes over to yell at them both, telling them to hurry up so that the work could be done. Yun Xi understands that her uncle is unable to bring back her friend and doesn’t want him to cry because of her, so she goes and obediently does the housework. flash foward a few years and the story begans. Yun Xi grows up…. Her cousin provides to be a lecher and tries to take advantage of her. She fends him off and he leaves in a huff, telling her that he would tell his mother that Yun Xi was trying to seduce him. 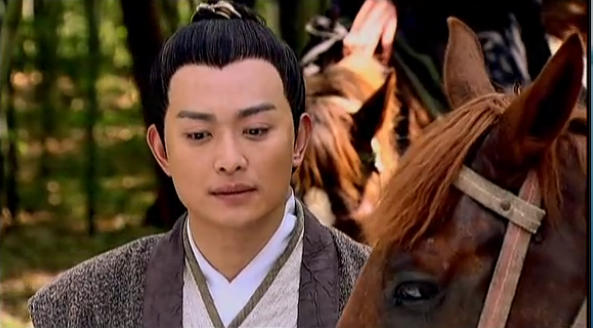 Yun Xi asks him to wait and asks him if he really likes her. If he did then he should meet her in the forest tonight. He gets really excited and doesn’t know what she has planned for him. 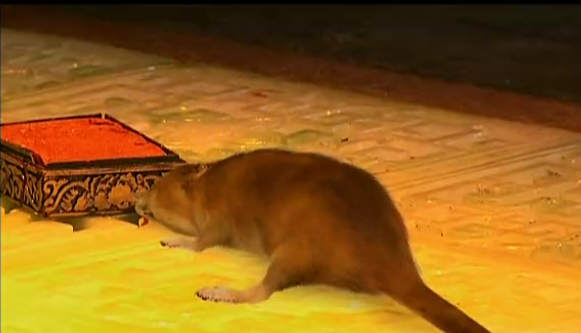 Yun Xi brings her aunt into the forest at night and her aunt beats up her cousin in a fit of rage. 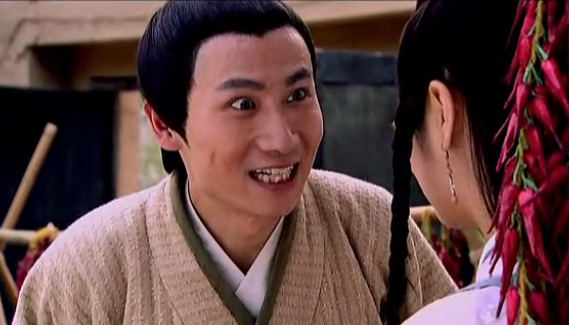 Her cousin screams that it was Yun Xi who seduced him and the aunt gets even more angry. 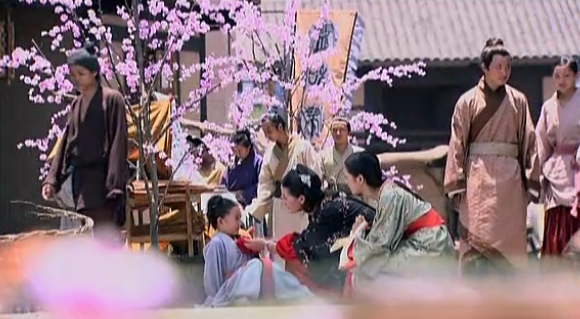 Back at home the aunt beats up Yun Xi, calling her a whore and all manners of niceties for seducing her son. 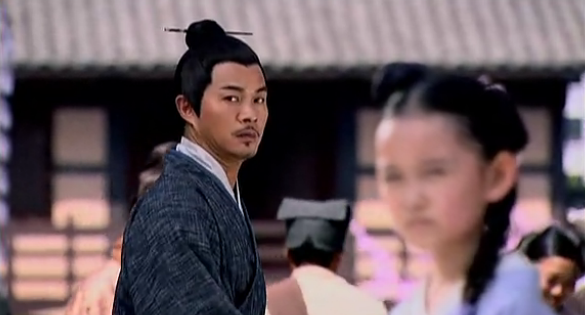 The uncle stops her in time and saves Yun Xi, he thinkgs that it is time to find a hustand for her. I’ve always thought that the cloths are sooo pretty in this drama. And I was right. They are very pretty and the men look so good in them. I love the use of the colors, none of it was out of place. If anything the historical dramas got right, it’s the cloths. I think ur thinking of Qin Sho Huang Fei, this one is just called schemes of beauty. It’s long but pretty good. Thank you…:) I think they have the same casts… Both male and female leads?? Also the same Empress Dowager?